CHICAGO (WLS) -- Chicago native Tenisha Taylor Bell was just 5-years-old when her father was robbed and killed on his way home from church. The killers were 15, 19 and 21 years old. 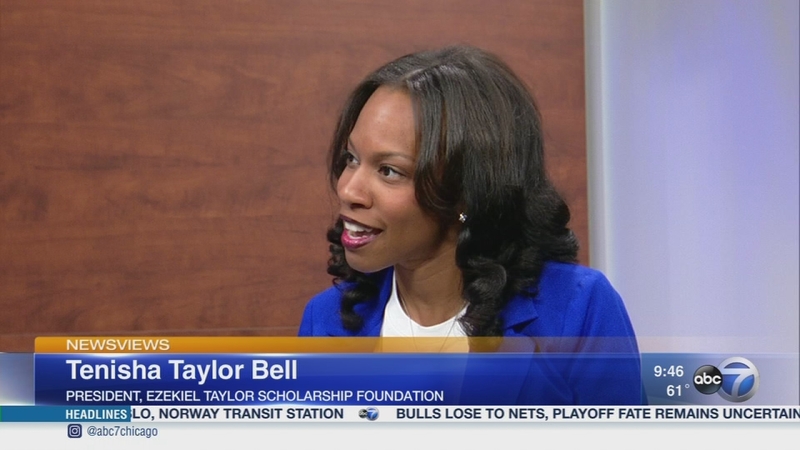 Bell went on to pay tribute to her father with a foundation she's started to help young, African-American men. On Tuesday, Bell presented a check to South Shore High School student DeShawn Thomas. Talking about how she has turned tragedy to triumph is Tenisha Taylor Bell. For more information on the Ezekiel Taylor Scholarship Foundation, visit www.eztaylor.org. Chicago native Tenisha Taylor Bell was just 5-years-old when her father was robbed and killed on his way home from church.